What is inside the NDP funpack 2015? Everyone is super excited about our nation 50th birthday this year, I'm really excited too! It's amazing to see how far Singapore has some in such a short period of time! Needless to say, I'm really proud of my country, Singapore and to be a Singaporean. For those who are going to attend the NDP, you guys will receive the NDP Funpack as usual! 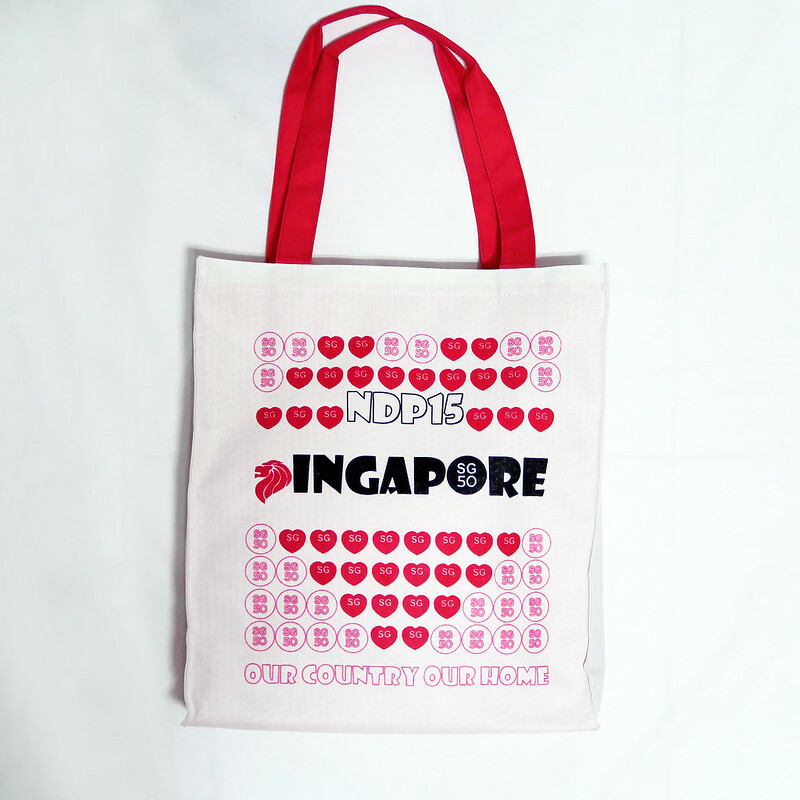 For this year it will take the form of a tote bag and comes in 50 different designs, each designed by Singaporeans from all walks of life. For those who are not attending (because we didn't managed to get the tickets), don't worry, we will receive a SG funpack to be part of the celebrations! 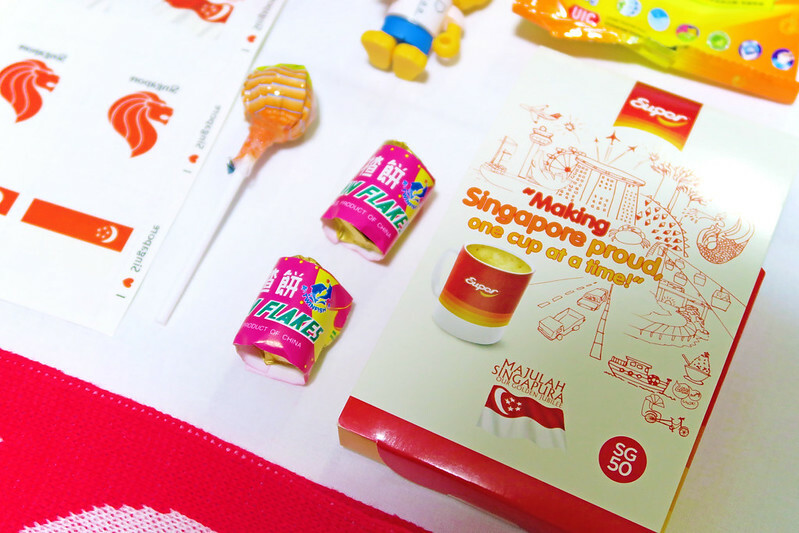 I'm going to show you guys the NDP funpack for this year and the items inside the funpack! There are 50 different designs and the one that I've got is designed by Eunice Chong Mei Khuen, a finance executive. 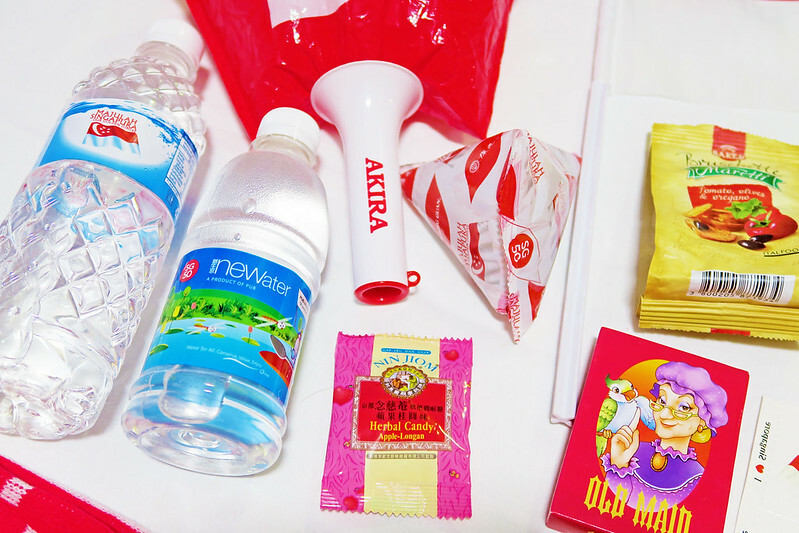 Items inside the funpack! 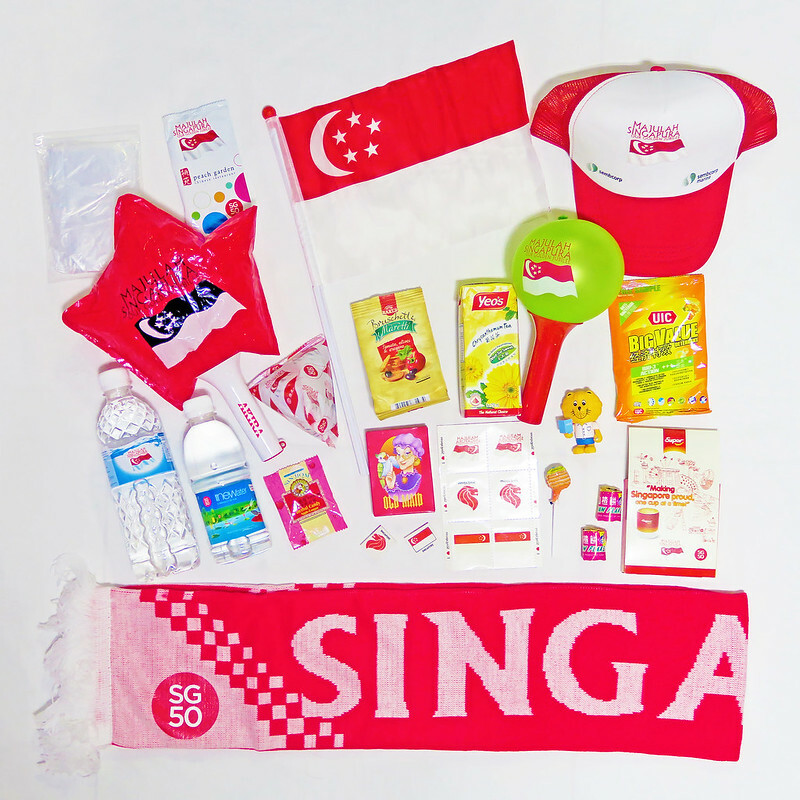 To commemorate Singapore’s Golden Jubilee, the funpacks will comprise items reminiscent of our early years, such as the capteh and snacks like haw flakes, as well as a collectible Singa Lion figurine. 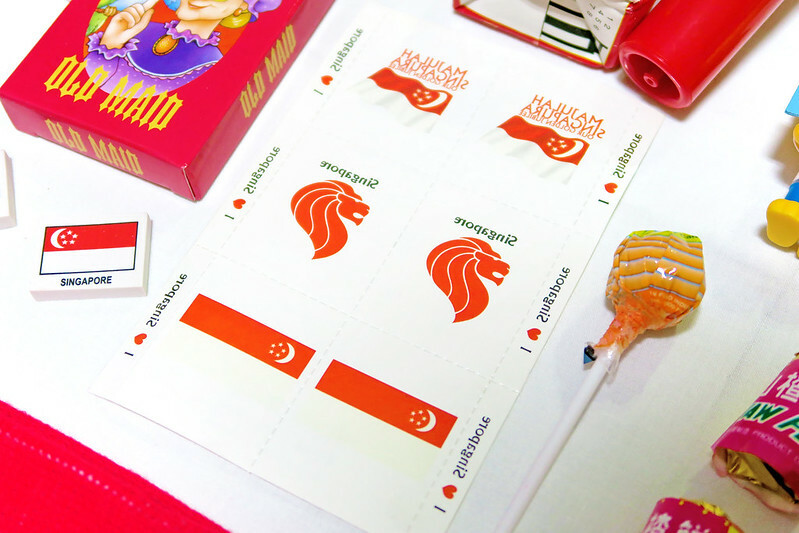 To celebrate our unique Singaporean identity, a commemorative figurine of the Singa Lion will be included in every Funpack. It's really cute and nostalgic upon seeing the Singa Lion! The Singa Lion was chosen as an icon of kindness and graciousness that we, Singaporeans have grown up with. There are a total of 15 different designs and the full set of Singa figurines can be purchased at The Kindness Gallery (140 Hill Street #01- 09 Singapore 179369) from July onwards. They will available for sale individually as well as in a collector’s box set. 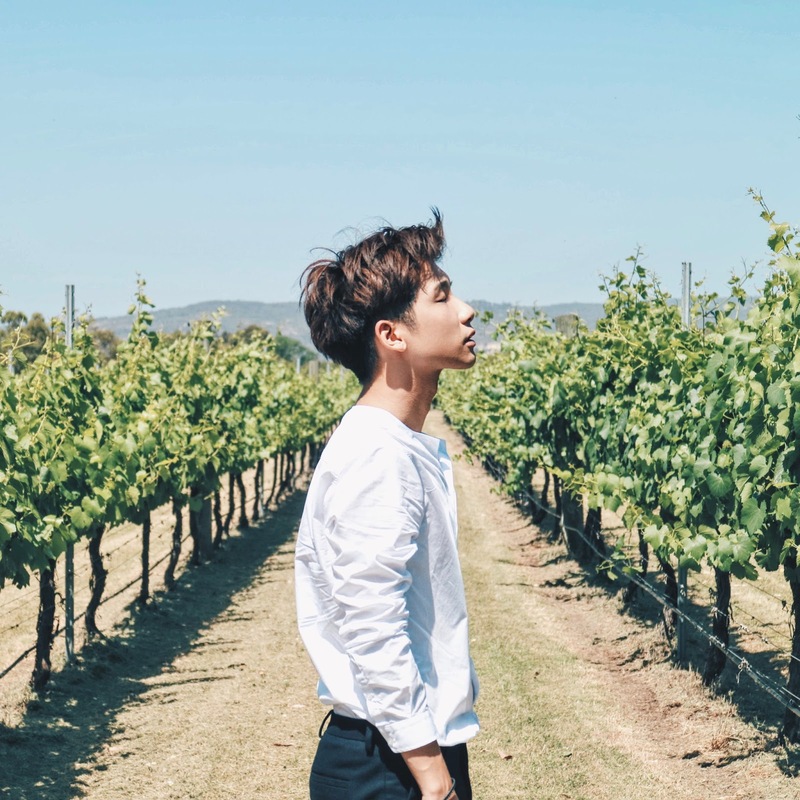 The proceeds of the sale will go to the Singapore Kindness Movement’s Seed Kindness Fund. 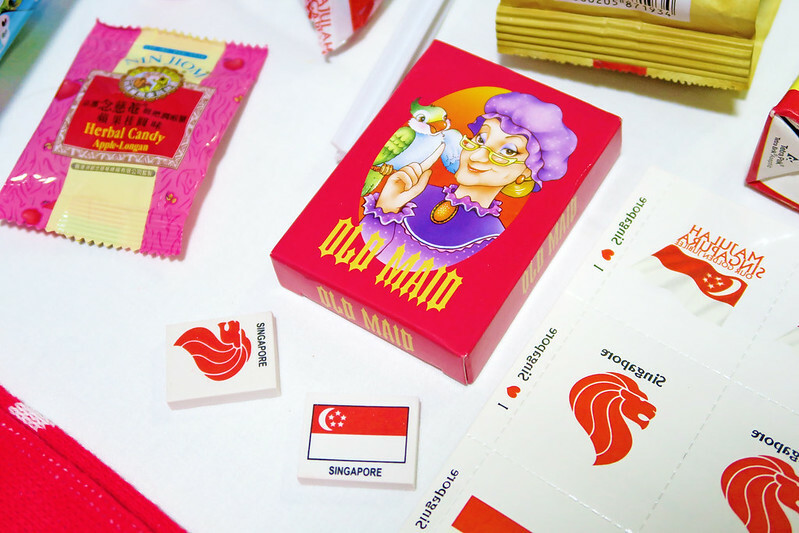 Nostalgic games (Old Maid card games and country erasers) that reminiscent of our early years, connecting Singaporeans across generations as stories are shared based on games that were played. I remember I used to love playing Old Maid! And also the snacks (Haw flakes and lollipop) that were eaten across generations too! 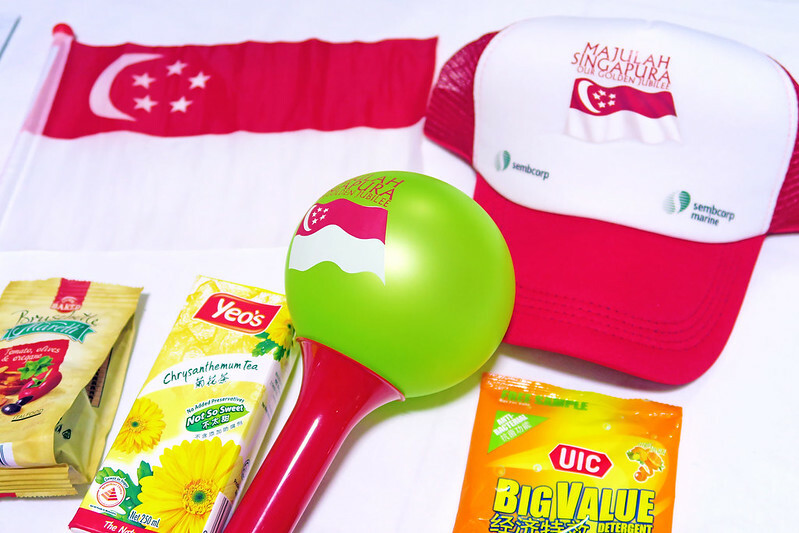 The Truckers cap, packet drink and bread chips will only be found in the NDP Funpack, while the LED balloon maraca, miniature flag will be in both the SG and NDP Funpacks. 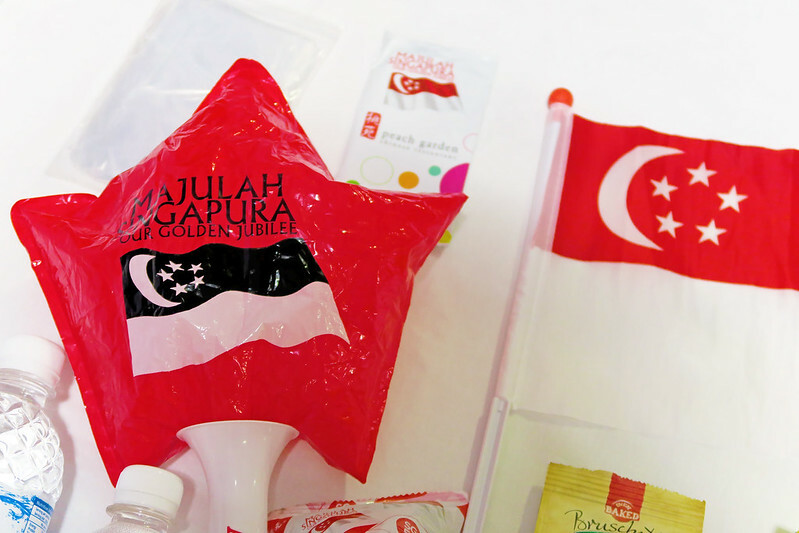 In addition, the SG Funpack will contain household items such as detergent and instant cereal. Newater, mineral water, sweets and biscuits. 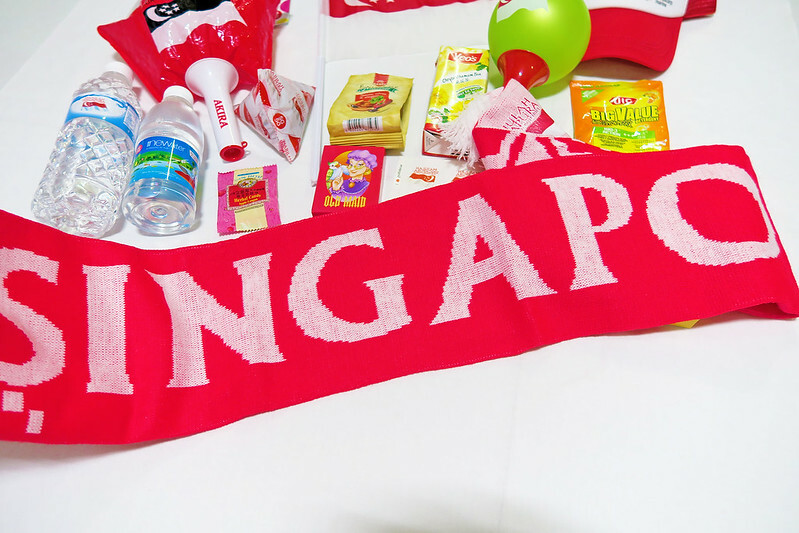 And also the SG Scarf, which is only found in the NDP Funpack! As both the SG and NDP Funpack contain slightly different items, here’s a breakdown to give you a clearer idea. 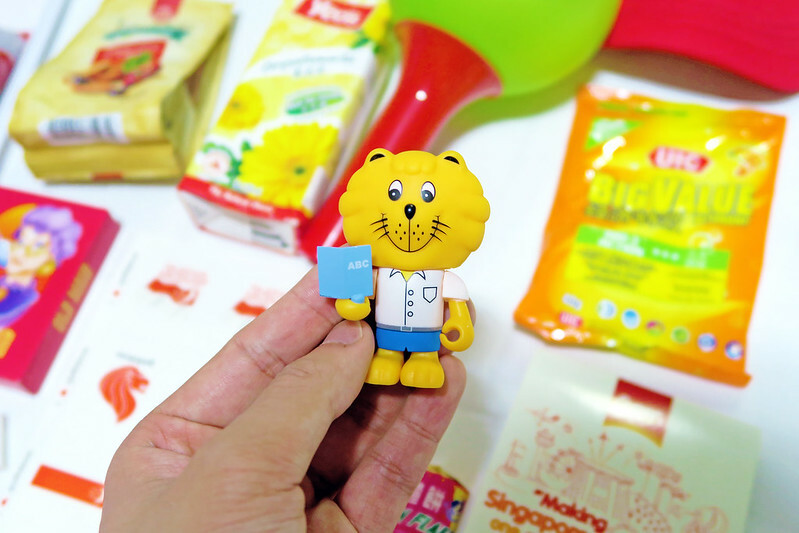 These items are exclusive of the nostalgic snacks and games pack and Singa lion figurine, which are in both funpacks. In conjunction with the celebration, there is also a “Birthday Wish for Singapore” Postcards event going on!